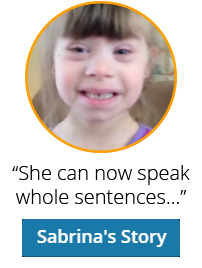 People with Down syndrome have the desire to communicate, but their comprehension and expression skills can be delayed and limited to a few words or short phrases. 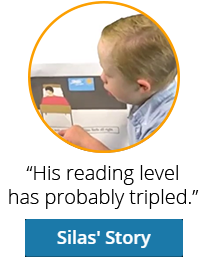 Gemiini’s Discrete Video Modeling focuses on increasing the vocabulary, articulation, and language skills necessary to unlock the door to speech for people with Down syndrome. 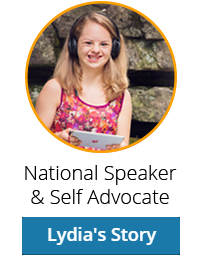 Olivia has Apraxia and Down syndrome. "Olivia responded in the first week. I will never forget, early on, when she was in the back seat of the car saying "dog, dance, deep, etc." from the D-word video I made. She was getting speech therapy in the car! I was over the moon!" The Glasgow Family invites you to follow their journey as their daughter and son, Wren & Fox, learn to speak and communicate using Gemiini. Gemiini delivers evidence-based therapy—anytime, anywhere.